Want the best rates? 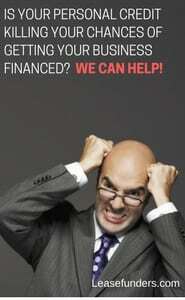 Get your credit score up above a 700! 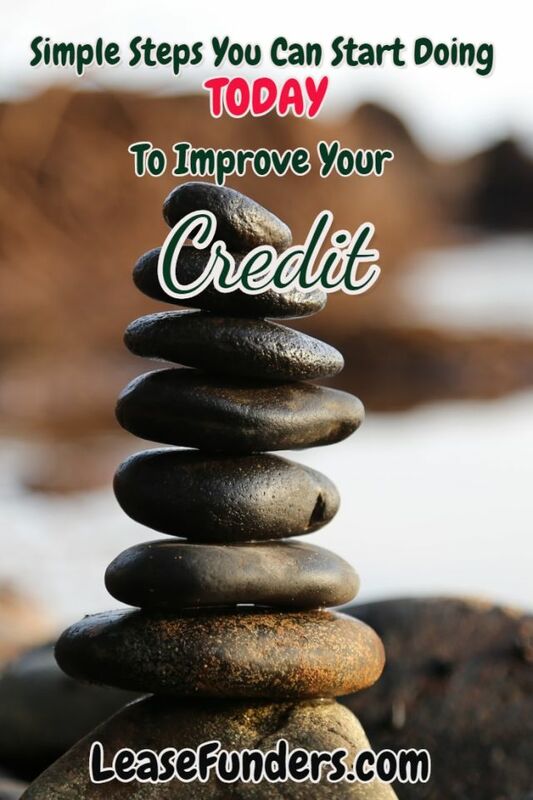 Poor credit can make many facets of your life hard. 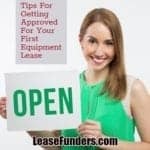 It can prevent you from leasing the equipment your business needs or other means of business financing. 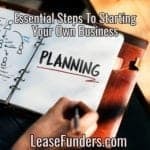 Before 2008 as a business owner, you could hide your bad personal credit from lenders and concentrate on keeping your business credit clean and you would be approved for financing. But after 2008 many banks said they would consider corp credit only financing, but only if the business owner had good credit. 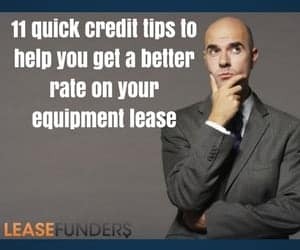 Meaning your businesses credit can be excellent but if your personal credit was bad, they would not issue a corp only lease to you. Also before the big crash, if you had at lease a 680 score, banks felt you were golden. But in more recent years the best rates and programs have been available to customers with credit scores above 700. 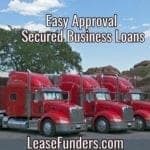 Especially if you are looking for an unsecured business loan. They do exist, but the banks now want a minimum of a 720 credit score! Happily, there are many things you can do to remedy bad credit. Here are a couple of suggestions to get you started on the correct course. Always start by getting your credit report from all 3 credit reporting agencies. Most banks are still using the FICO scoring system and most pull Experian or Equifax. A few use TransUnion so its good to make sure you know what that report is saying about you! Verify the information is correct. If you see any problems start the dispute process but NEVER use online dispute forms. The fine print states that you can not sue the credit bureau if they do not update your information. Why would they not do it? It just happens from time to time. Maybe they say they will update it but they aren’t doing it in a timely manner. When you use the online dispute forms you take away an important tool in your arsenal. The ability to threaten to sue them! Collection accounts? If you have collections on your credit report, first talk to the original creditor to see if you can work something out with them before working with a collection agency. Negotiate your way to a better score. If the debt is old, put on your negotiations hat! An old debt can be settled for pennies on the dollar! Try to remove negative tradelines. When dealing with a creditor or a collection agency with a negative tradeline on your credit report, negotiate with them to remove their tradeline. Some will do so if you make a bigger settlement payment. Hire a professional – If you are not good with negotiations, look into hiring a debt consolidation company to help you. Discuss your credit scenario with a counselor from a nonprofit service that specializes in credit counseling. If you qualify, counsel may have the ability to combine your debts or even contact debtors to reduce (or remove) specific costs. Stay on top of your payments. Set up all your debts on auto pay so that you do not end up paying late. Late payments will kill your credit score. Hard inquiries. 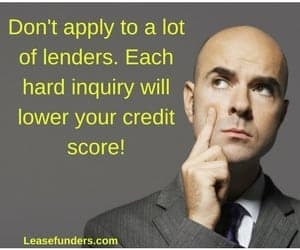 Each time you apply to a lender you bring down your credit score. One or two inquiries won’t hurt too much. But keep in mind you loose 1 -2 points per inquiry (minimum). If you have a 660 credit score and then apply to 5 different banks. You have probably dropped your credit score by 10 points. You know have a 650. Many lenders look at a 650 as high risk. Open new credit. If you don’t have a lot of credit or if you have a lot of negative tradelines, add some new good, healthy tradelines! Show the lenders that you are now paying your debts on time and no longer paying late or not at all. 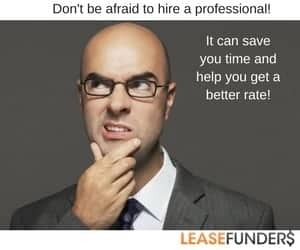 Disclaimer: LeaseFunders.com is an independent, advertising-supported website. The owners of this website may be compensated in exchange for featured placement of certain sponsored products and services, or your clicking on links posted on this website. Staying on top of your payments really helps. For me, I always set up all debts on auto pay so that I do not end up paying late because this would definitely kill your credit score and it won’t really be a good thing. Thanks for stopping by! Yep, missed payments can really bring your score down. Its better to pay at least the minimum amount on time then to make a big payment late.